This will be short and sweet, as I don’t intend doing a full review of Greenland paddling itself. 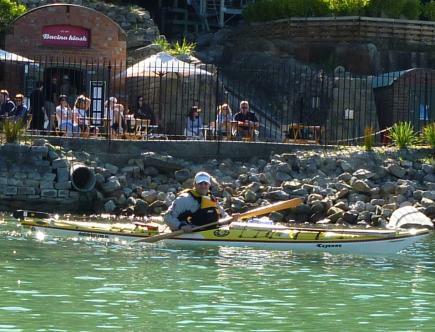 But I did receive my new Elver Greenland Paddle yesterday (having recently been converted to Greenland paddles with my CohoKayak greenlander) and couldn’t wait to get out onto the Harbour for a kayak. The Elver paddle itself is quite different from the CohoKayak. 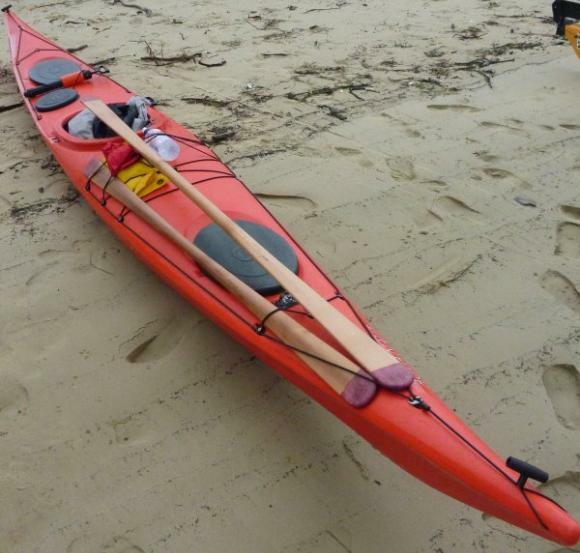 At 2.22m long the Elver paddle is 30cm longer than the CohoKayak but a good 2-3cm narrower. It is carved from a single piece of Western Red Cedar, is nicely oiled and fits perfectly in the hand. Heading out onto Sydney Harbour just after 6am this morning, I decided to brave the ocean swell coming through the Harbour heads and cross over the shipping-lane to Watsons Bay. Braving 3-4 foot multi-directional chop, I carved my way through the waves at a handy 7.5km/hr. When I wanted a bit of raw power, I’d switch to a sliding stroke, finding the narrower blades far easier to use for this technique. The final verdict? Simply awesome. I am so happy with this blade the rest of my paddles can expect to be retired. It is well crafted, paddles with ease, is bouyant, easily switches from a standard forward stroke to a sliding stroke, and quite simply looks beautiful. Awesome paddle. Reckon you’re doing the right thing mate. Wish I had one too. Not sure about the sliding stoke though; I’d probably drop it! its great to see a few more greenland paddles out there,I’ve just finished making my fifth; I’m glad I’m not the only one with a greenland paddle addiction! There is also an alternative/variation to the popular Greenland paddle: the Aleut one. While a bit more complex to carve (it has concave faces, a grooved ridge and an asymmetrical back side) the feel is similar to a GP but for me it was easier to learn the new technique.